Hey Faithful Equality Florida Blog Readers! 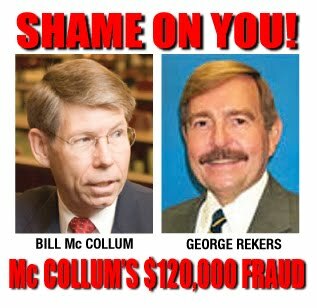 I know you've seen the headlines about how Florida Attorney General Bill McCollum, who is running for Governor, paid the notorious homophobe George Rekers $120,000 to testify in favor of Florida's shameful adoption ban. Then Rekers got caught traveling with a male prostitute. Well, we want to demand McCollum apologize for hiring Rekers and pay back the wasted money. We're trying to build a huge team of Pride volunteers to collect 2,000 signatures to send to Bill McCollum. Can you be on our Pride Team? Every one of our pride volunteers will receive an Equality Florida T-shirt! Thanks again for being such a strong advocate - I hope we get to work together at Pride!